It may be 75 degrees here in Phoenix, but it still feels like winter to us! 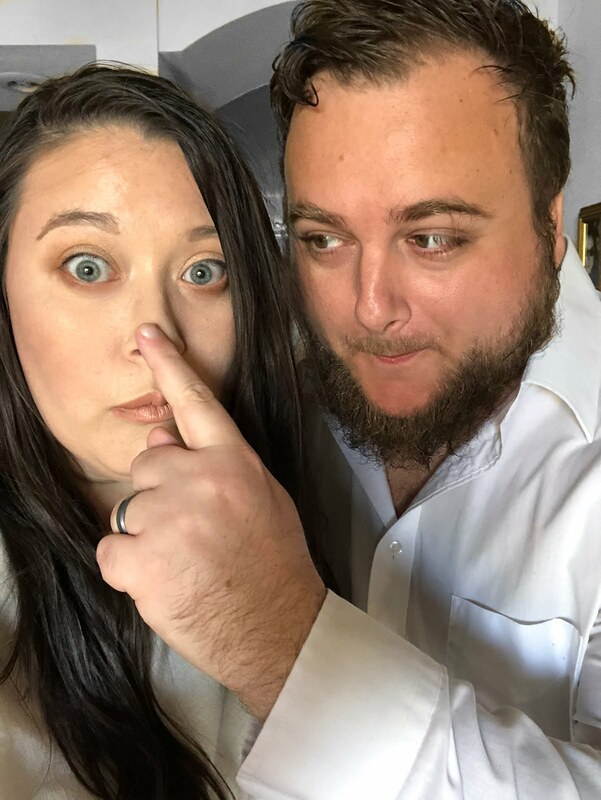 Adam and I are enjoying these last cool months while we still have them--before we know it, we'll be facing 115 degrees days again in the dead of summer. The weather still feels chilly, we haven't packed away any of our sweaters, and we're still seeking out the comfort of warm and hearty winter meals. 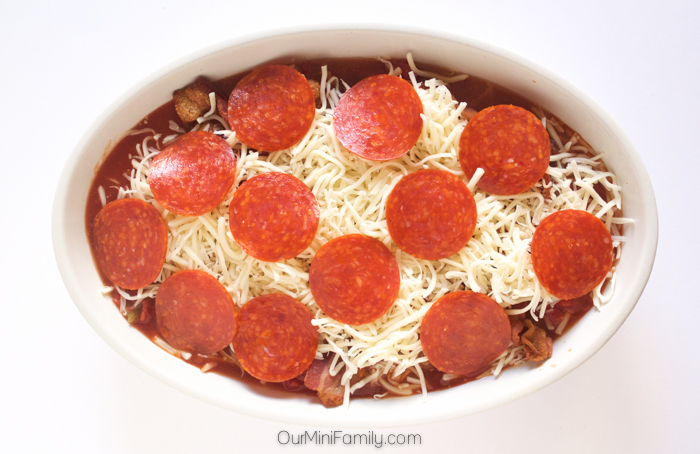 Today, I'm sharing a mid-winter meal favorite of ours: Meat Lovers Pizza Casserole! I'm also sharing a kitchen hack that we've been implementing for the last few winters, as well as a free download for you for our "How Long Can this Meat Last in the Freezer?" Printable! Prepare a medium-large casserole dish with non-stick cooking spray. Combine pour about 1 cup of Hunt’s Tomato Sauce into the dish. 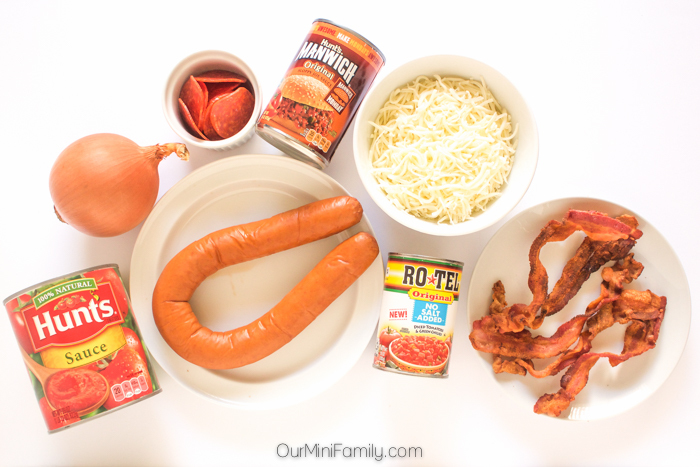 Heat up a large stovetop pan and warm up the sausage in MANWICH Original. 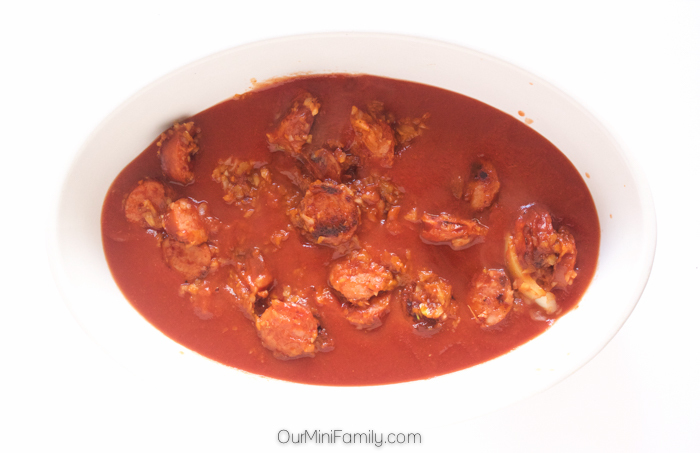 Once it's warm/grilled, scoop in sliced pieces of pre-cooked/grilled Italian sausage, as well as about 3/4 cup of yellow onion. Mix together. 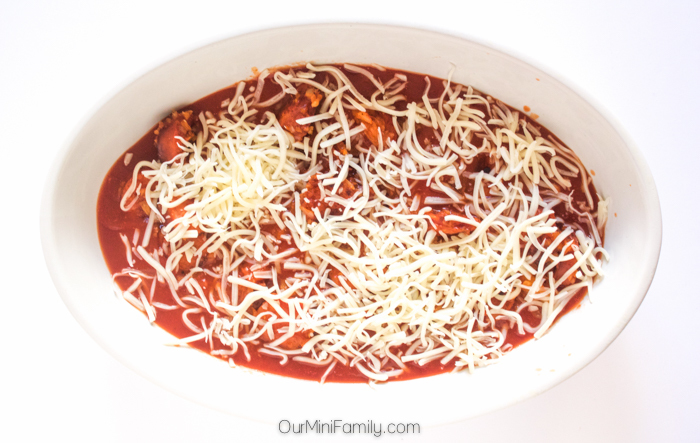 Sprinkle a layer of mozzarella cheese on top (about 3/4 cup). 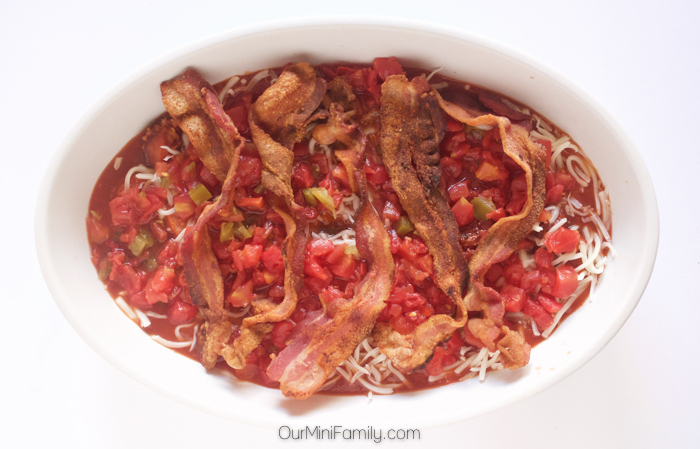 Pour on the RO*TEL Diced Tomatoes and Green Chiles, and then place a few strips of precooked/fried bacon on top. 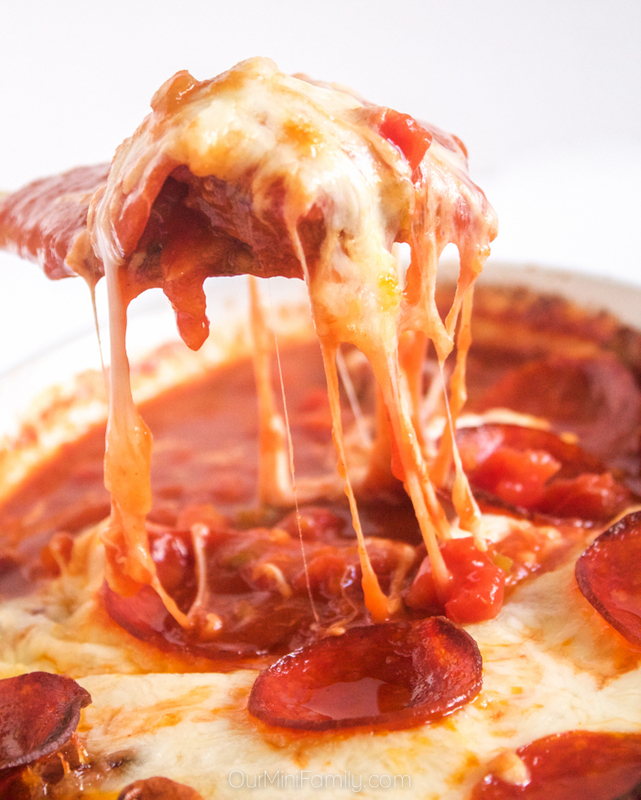 Layer the remaining mozzarella cheese on top, and place some pepperoni on top of all of the layers. 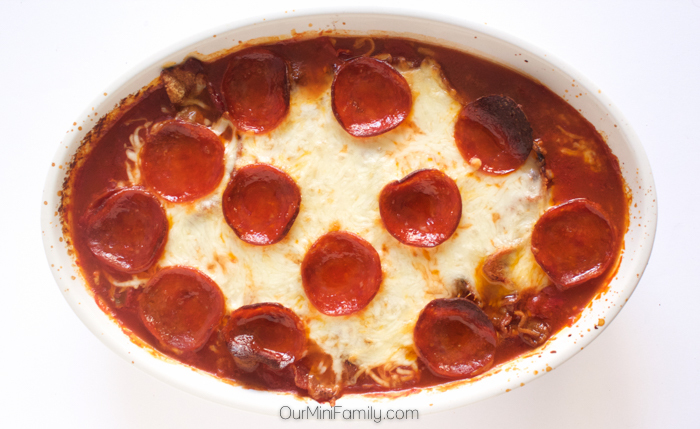 Bake the casserole in the oven for about 25-30 minutes. Dinner meals that are easy to make are so crucial for us--Adam and I spend all day and night working, and when we're finally done with work the last thing we want to do is spend all of our free time cooking; with convenient meals like this Meat Lovers Pizza Casserole, Adam and I can enjoy more time relaxing together. We were able to pick up our Hunt’s, RO*TEL, MANWICH, and all of the other ingredients at our local Walmart; we really like the convenience of picking up the canned foods we need and then being able to head right over to the fresh produce section to stock up on fruits and vegetables (like the onion we used for our Meat Lovers Pizza Casserole). 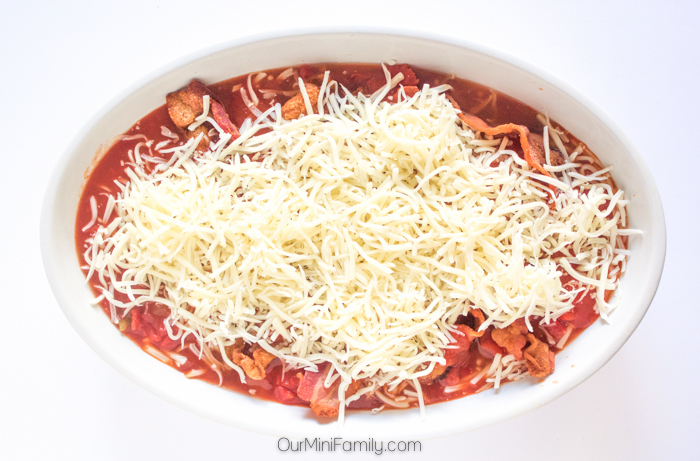 All of these ingredients work together to create an easy and delicious comfort meal--a comfort meal that is perfect to enjoy during the cold weather months! 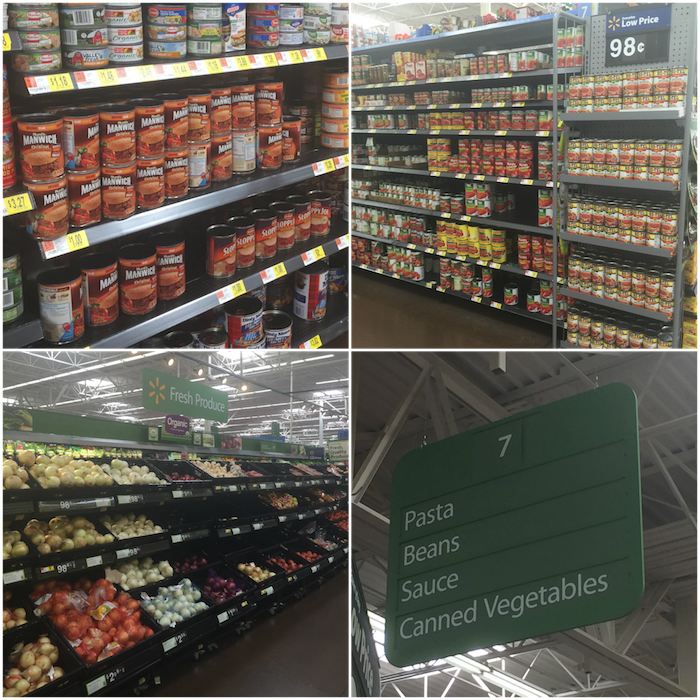 After I head down to Walmart to stock up on groceries, I always bring everything home and immediately start divvying up everything into storage. Fruits, vegetables, grains, and meats can all be stored for weeks if done correctly. 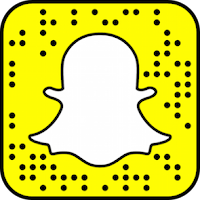 Today, I wanted to share a food storage hack with you that I have found really helpful when stocking up on my groceries for a month at a time--specifically meats! 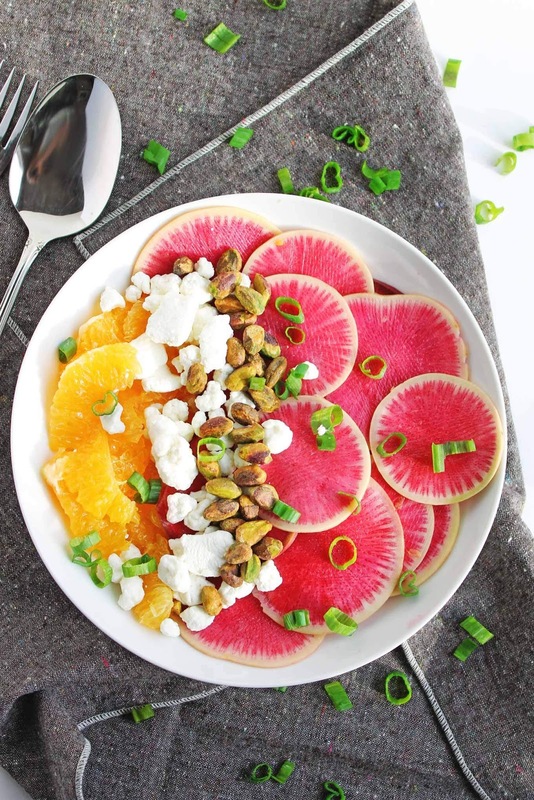 When you bring your fresh meats home from the grocery store, make it a goal to immediately plan and take inventory of everything that you have. Any meats that are already frozen in the freezer come forward to eat first, and then place the fresher meats towards the back of the freezer. 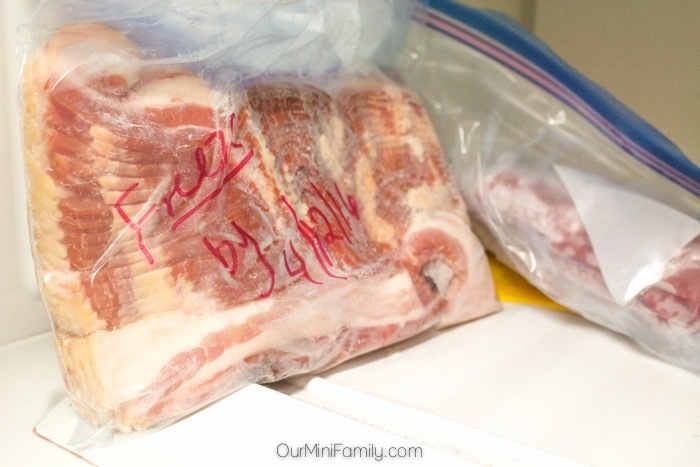 Pro-Tip: Use plastic freezer bags to divvy up your meats, and use a permanent marker to label when the meat needs to be frozen and/or cooked by on the outside of the bags. When I first started buying our family's groceries in large bulks, I found myself constantly researching how long certain meats would last in our freezer. 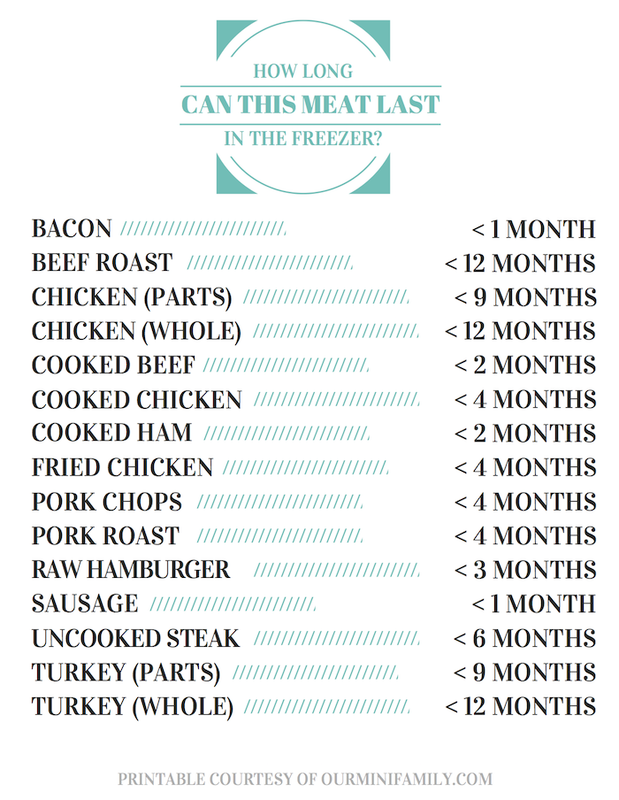 Because I had found myself searching for the same answers over and over again, I finally decided to create a printable for my home to keep track of how long meats could last in our freezer. 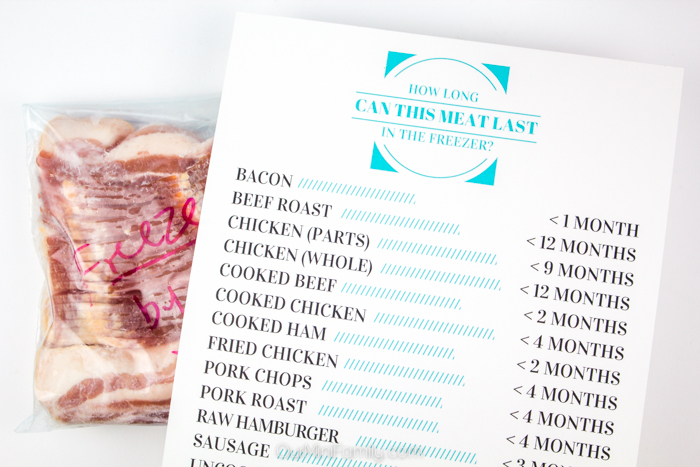 When I created this printable, I made it so that I could stick it onto our kitchen corkboard as a reminder for when I was stocking up our freezer with meats. This 8.5" by 11" printable is perfect for anyone who prefers to shop for their groceries in bulk, and if you like to meal plan/budget your food for up to a few months at a time. Download the "How Long Can this Meat Last in the Freezer?" Printable here! *Health Disclaimer: I am not a registered dietician. If you have questions about if any cooked/uncooked food is safe to eat, please consult the FDA or another licensed source. This freezer printable is only meant to serve a guide, and I am not responsible for any health-related concerns or consequences from consuming any and all foods. Thanks! I know a bunch of people who would love me to make this. It would not last long that's for sure. That looks like a yummy meal and always wondered how long I should keep things there! 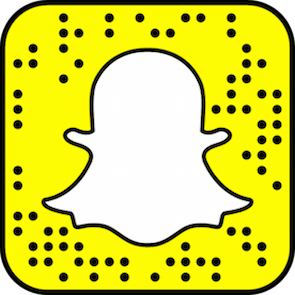 Be sure to download the printable--I bet you'd find it helpful for sure! That's awesome, Amber! Hope you get a chance to make some real soon!